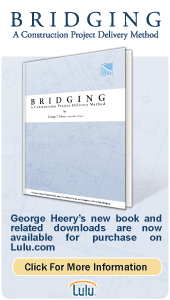 A brief review of the seven most prevalent construction project delivery methods in use today: Design-Bid-Build, CM-at-Risk, Design Build, Bridging, CM Agency, and a new method introduced by Brookwood called CM-at-Risk/Bridging. This publication explores the pros and cons of each method. Also discussed are the major factors Owners should consider in selecting a project delivery method and the different ways in which the term “CM” is used today, as well as an exploration of Integrated Project Delivery.